Which Film’s Title Is An Anagram Of The Book It Was Based Off? It’s one thing to take a book and make a clever movie adaptation of it. It’s clever on a whole other level to take a book, make a good movie adaption of it, and give the movie a new and catchy name that’s actually an anagram of the original book title. That’s exactly what happened with the film October Sky, however. 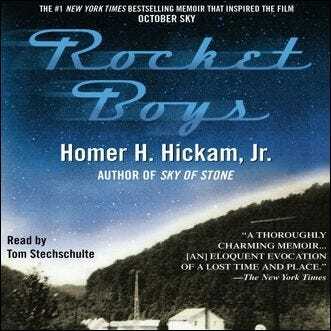 The popular 1999 film focused on the amateur rocketry exploits of a group of boys growing up in a coal mining town in West Virginia and was based on the memoir of Homer Hickman, Jr. titled Rocket Boys. October Sky is an anagram of Rocket Boys and a very clever way to give the story a fresh, but topical, title.